For those of you reading the latter Horus Heresy novels and seeing all these unconnected storylines – Cabals, Perpetuals, fate of the Lion, Vulkan, Kurze and Sanguinius, as well as the numerous short stories in “Mark of Calth” – then some closure is at hand. 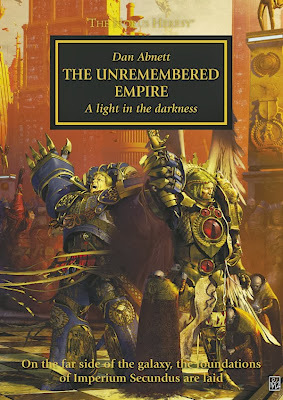 I have just finished Dan Abnett’s latest Horus Heresy novel “The Unremembered Empire” and it is far to say it ties together threads from at least ten different novels and novellas in one neat package. The work of the Perpetuals and the Cabal who have been wandering in and out of books as far back as “Legion” becomes far clearer and with five Primarchs converging on Macragge there is a lot of temporary closure of these story arcs. In the “Afterword”, Abnett said it was the hardest book that he had to write given the divergent genesis of the storylines. 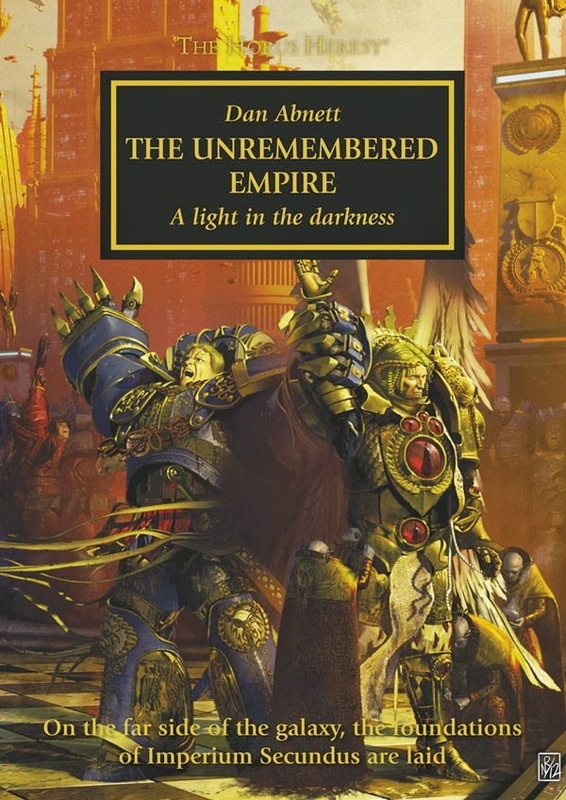 I think he has done a great job, really enjoying the book even though my level of interest in Guilliman, the Ultramarines, Johnson and the Dark Angels is minimal. Undoubtedly the star of the show is Konrad Curze and I can’t wait until Forgeworld create a miniature of the Night Lords’ Primarch. He is a fantastic character and having enjoyed his prolonged torture of Vulkan in “Vulkan Lives”, it’s great to see him making the Salamander’s life hell again. Translation: Pete has a picture of Vulkan, Guilliman and Johnson playing soggy biscuit taped onto his bedroom ceiling.